Is Affirmative Action in the U.S. Dead? The U.S. debate on affirmative action has deep roots and will surely continue. 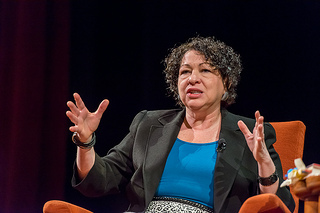 The Supreme Court decision – and Sotomayor’s candid and necessary assessment of race relations – came over 35 years after the Court in 1978 ordered a University of California medical school to admit a white man who claimed that affirmative action unfairly led to the rejection of his application. The “Bakke Decision” outlawed racial and gender quotas and delimited “race” to the managerial interests of academic institutions and employers. Historical accounts of affirmative action policies often trace back to President John F. Kennedy’s Executive Order 10925 of 1961, which required government contractors to “take affirmative action to ensure that applicants are employed and that employees are treated during employment without regard to their race, creed, color, or national origin.” President Lyndon Johnson extended these mandates through the Civil Rights Act and with his own executive order. But it was Sotomayor, decades later, who shined in her statement last month. When she read her dissent from the bench, for the first time in her five years, her colleagues – who already had made up their minds – were not her intended audience. Her audience was the democratic commons. *Lázaro Lima is a professor of Latin American literature and Latino Studies at the University of Richmond, and a CLALS research fellow.